Good Morning! Cineplex Canada has a new movie every Saturday at 11:00 am for $2.99 per ticket. 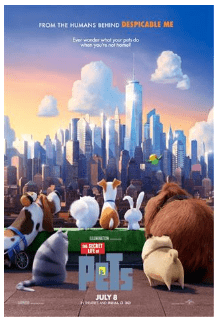 Today, Saturday, April 13, 2019, at 11:00 am the film Secret Life of Pet.